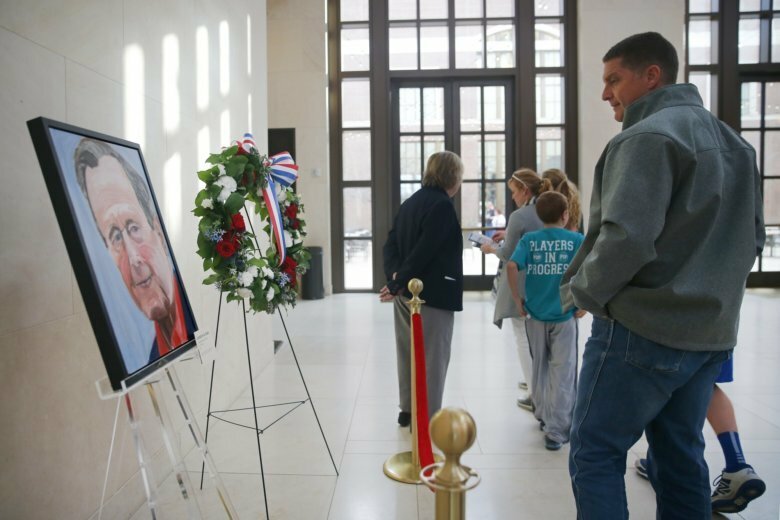 The capital will recall the 41st president’s lifetime of public service, which began in the Navy during World War II and continued with one term as commander in chief. Asian stock markets cheer Trump’s agreement to postpone U.S. tariff hikes on Chinese goods for 90 days while the two sides negotiate. Thousands of nurses, mental health techs and security guards have been assaulted by patients at the state’s largest psychiatric facility, AP finds. The lingering instability in the port town of Mukalla raises questions about whether a truce would bring peace to the Arab world’s poorest country, AP reports. Jeff Bezos predicted five years ago that drones would be carrying packages to people’s doorsteps by now, but regulatory hurdles and safety issues have proved challenging. Now 77, Vermont Sen. Bernie Sanders is laying the groundwork to launch a “bigger” presidential campaign than his first, and advisers view him as a front-runner in 2020.